Legal Status: Wanted criminal in Edenia. Skills and Abilities: World class martial artist in armed and unarmed combat. Powers: As an Edenian she has a longer life span than a human. She also has knowledge of sorcery. 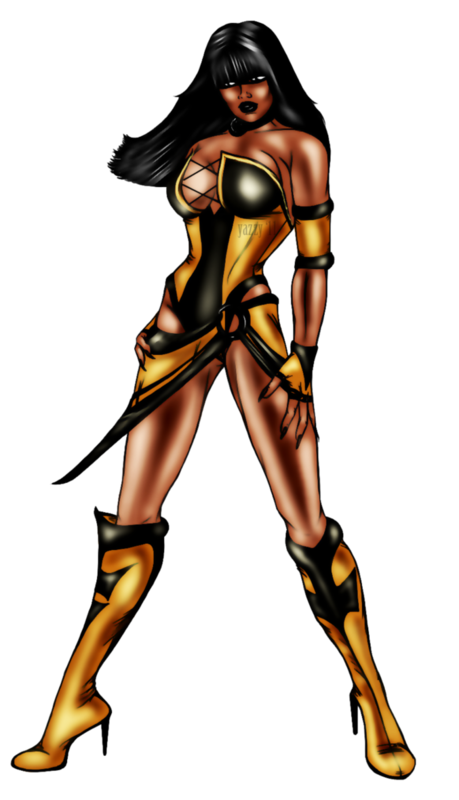 Tanya was the daughter of the Edenian ambassador to new realms. When Shinnok invaded the realm she joined him in subjugating her people. When her lord was defeated she went into hiding only to resurface when the Deadly Alliance overtook OUTWORD she became one of their enforcers. She was present during Armagedon and was one of many casualties.